What is the Ketogenic/ LCHF Lifestyle? If you’ve been here for a while you probably have read this post about my journey and my commitment to start it again. Well it has been almost two years since I wrote it and now 22kg lighter I can surely say the ketogenic/ Low carb high fat lifestyle really suits me. Because of that I want to tell you a little bit more about it during this month of April hoping that I can inspire other who are struggling (as I was) to read into it and see if suits them. Remember, you should lose weight in a healthy, sustainable way and what it works for me might not necessarily work for you. Look for a professional nutritionist if you are not sure. For me, the ketogenic or low carb high fat “diet” changed my life, obviously losing weight was my main goal and was awesome but the most important thing was that it gave energy and motivation to start working out and let me tell you, I was a couch potato not able to run for a bus. But I’ll write more about my workouts later. Now, you might be wondering but… what the hell is a ketogenic diet? A ketogenic or Low carb high fat diet is essentially a diet with a low carbohydrates intake, where the body produces Ketones to be used as energy. These ketones are the final product after the fat has being synthesized in the liver. How it works is very simple, our main body fuel is glucose because it’s the easiest to transform in energy. When we eat something high in carbohydrates our body produce glucose and insulin. Easy to process and convert to energy, if available will be used over any other source, it has the “priority seat sign” all over it! In this case, since our friend glucose is being used as the primary source of energy the fats are stored, also the glucose that is not used as energy get also stored as fat, that’s why we get our lovely big hips. Decreasing the carbs intake, we are forcing our body to make use of the fat available entering a metabolic state called Ketosis, where it uses ketones as a source of energy as I mentioned before. Ketosis is a natural body process and many of us experience it even if we are not following a Ketogenic diet, for example, when we sleep or have long fasting periods and the carbs are gone. What’s good about it is that the blood glucose fluctuations are minimal and because of that we don’t experience cravings and don’t feel hungry all the time, also this type of diet has shown in several studies to be a more effective way to manage and prevent diabetes. Also, because the body uses a more reliable source of energy it increases the energy and because ketones are a great source of brain fuel also increases mental focus and concentration, has shown to decrease triglyceride levels and cholesterol. The ketogenic diet is also used since the 1900’s to treat epilepsy and it’s still of the most used therapies in children with uncontrolled epilepsy. 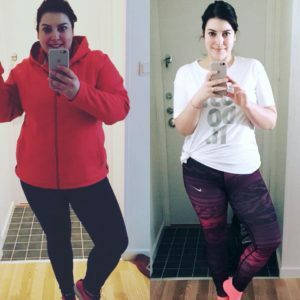 It completely changed my life, not only because I lost weight but because I do feel great with it! I still have a long way to go until my goal weight but I feel healthier and happy on my skin, I’m motivated to workout and most importantly I feel like the weight loss is sustainable. Posted in Uncategorised•Tagged keto diet, keto life, keto transofrmation, lchf, low carb•by S•Leave a Comment on What is the Ketogenic/ LCHF Lifestyle?